Book online at our guaranteed lowest price upto 30% off. Vatika Grand, Near Leisure Valley, Sector 29, Gurugram. SCO-297, SCO 390, Sector 29, Gurugram - 122022. SCO 388, Near Power Grid, Sector 29, Gurgaon. Block-E, South City I, Near NH 8, Gurugram. 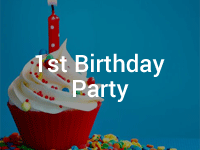 307, 3rd Floor, F Block Market, South City 2, Sector 49, Gurgaon. Mehrauli-Gurgaon Road, Near MG Metro Station, Gurugram - 122002. Urban Complex, Ch.Nandaram Marg, Ullahwas Village, Sector 60, Gurugram. Ramgarh, Sector 64, Golf Course Extension Road Opposite M3M Urbana Mall, Sector 64, Gurugram. Southern Peripheral Road, Near Vatika Chowk, Sector 69, Gurugram. No need for 100s of phone calls and long negotiations. Take advantage of our experience. What you see is what you get! We use a 25 data point system to collect accurate information. No more running around to find the right venue. Just create your event. Thank you so much! You did an amazing job on such short notice. VenueMonk was a major help and I’ll definitely refer you. Good luck for the future! Venue Monk has been of great help on searching for location for our corporate party. Special thanks to keep accommodating with our change requests. Kudos to the team!! The team was very swift in getting the deals for all the hotels we had requested them. The final quotes from the hotels were definitely way less than the market price, so have to say, VenueMonk does get you value for money. Keep up the good work guys!! Very quick response to my query for searching the venue. I was provided with many options which made my choice quiet clear and according to my budget. Thanks VenueMonk for quick response and making things very clear before I could finalize everything. Much Appreciated. Amazing service and support by the team. 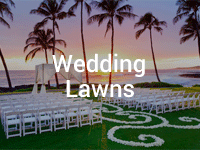 Very friendly, knows what you are looking for, fetches amazing venues at lowest prices. Keep up the good work. Thank you VenueMonk. It’s not easy to find a good venue specially when it your D-day (Wedding). Thank you VenueMonk. You made my day memorable. Highly appreciated. I really appreciate from the bottom of my heart the service you provide. it was really hard to find a perfect venue for a big corporate party in DELHI NCR region but VenueMonk made it to easy. This website is really good, the helped me book a venue for my birthday and the package that I got was in my budget, thank you so much guys. Call us on 9717-779-251ORHave Us Call You! VenueMonk.com is an online venue booking portal with the widest range of venues available in Delhi NCR, Gurgaon, Noida, Faridabad, and Ghaziabad. At VenueMonk, we connect our customers with the best venues in their city based on their unique requirements so that they can get the ideal deal for their event. We believe that online venue booking is just as personal as offline venue booking, except much simpler and our goal is to provide hassle-free online venue booking experience to our customers, all the way from browsing and shortlisting venues to booking the final one. Booking through VenueMonk is Easy! VenueMonk.com is here to change the way you do venue bookings. We’re here to simplify the venue booking for the residents of Delhi NCR, Gurgaon, Noida, Mumbai and Bangalore.VenueMonk.com is here to change the way you book venues for your events. We are here to simplify the online venue booking for the residents of Delhi NCR, Gurgaon, Noida, Faridabad, and Ghaziabad. VenueMonk believes that online venue booking should be as simple as Browse, Book, and Celebrate! We make use of innovative measures to back our approach to streamline the online venue booking process and make it simpler and easier for our customers. Our easy yet intuitive online venue booking mechanism, which is crafted especially for the convenience of people living in Delhi NCR, Gurgaon, Noida Faridabad, and Ghaziabad, makes online venue booking much simpler and faster than its counterpart- offline booking. 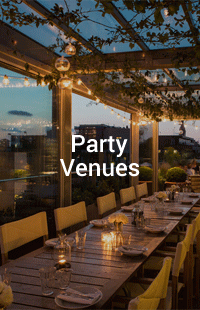 At VenueMonk, we have a wide range of exclusive Wedding Venues, Wedding Reception Venues, Engagement Venues, Pre-Wedding Party Venues, Birthday Party Venues, Kids Party Venues, First Birthday Party Venues, Corporate Party Venues, Corporate Event Venues, Conference Venues, Bachelor Party Venues, Business Meeting Venues, Business Dinner Venues, Exhibition Venues etc. At VenueMonk, we have a wide range of venue categories like Banquet Hall, Farm Houses, Lawns, Restaurants, Clubs, Bars, Meeting Rooms, Conference Rooms, Pool-Side Venues, Rooftop Venues, and more for every type of celebration. People can now book the best venues in their city with just a few clicks through VenueMonk. We look forward to raising the bar for online venue booking in Delhi NCR, Gurgaon, Noida, Faridabad, and Ghaziabad by providing necessary features to our customers like prompt customer services, faster bookings, and online payments. 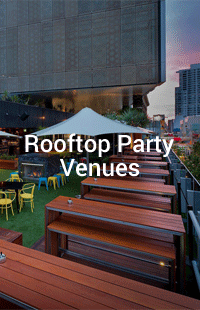 We are very keen on providing our customers with the best venues for their events. When it comes to quality and service of the venues or vendors, we never compromise on it. Moreover, we offer accurate and updated descriptions and transparent pricing for all our venues so that our customers get a clarity of the venue they are booking. At VenueMonk, customer satisfaction is our top priority and hence our dedicated support services are available from 9 am to 9 pm every day. We believe that online venue booking is still an emerging concept and hence there is always the need for proper communication channels to ensure hassle-free online venue booking. Our goal is to change the way people celebrate! 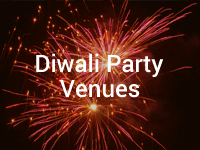 Happy online venue booking to you!